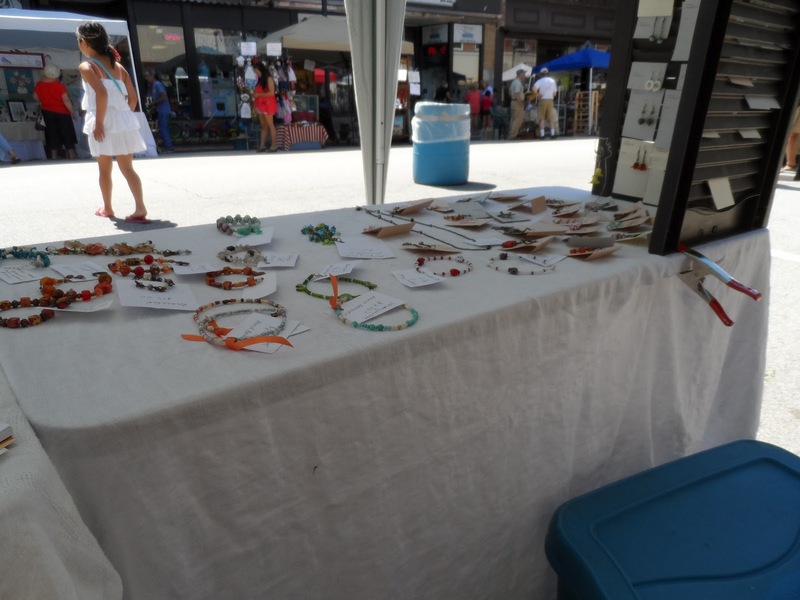 Stringing Fool: 14th Annual Port Jervis Arts Walk is History! This is the way it should always be, well, maybe not the pickup truck! The Ports Jervis Arts Walk has long been one of my favorite local street fairs. 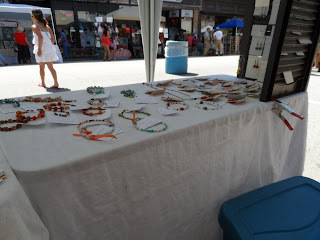 Last year and again this year, I set up my little Stringing Fool Jewelry tent and offered necklaces, earrings bracelets and this year for the first time, ankle bracelets for sale. I did pretty well, and as always, learned a little bit for next time. 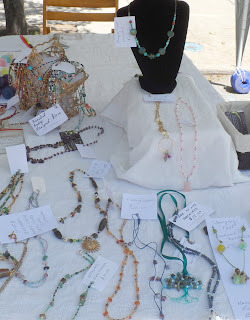 Earrings and bracelets, a few necklaces too! It was a perfect day to be outside, not too hot, and lovely. When we got there at about 8:15, there was a pickup truck blocking one of the spaces (the one next to mine, which happened to belong to my daughter and her friend.) At first it looked as if they were going to have to tow it, but finally the owner showed up around 9:30 to move it. Whew! if he hadn't driven away, we would have had to move to make room for a tow truck. It's a couple of plastic shutters I picked up at a yard sale earlier this year. 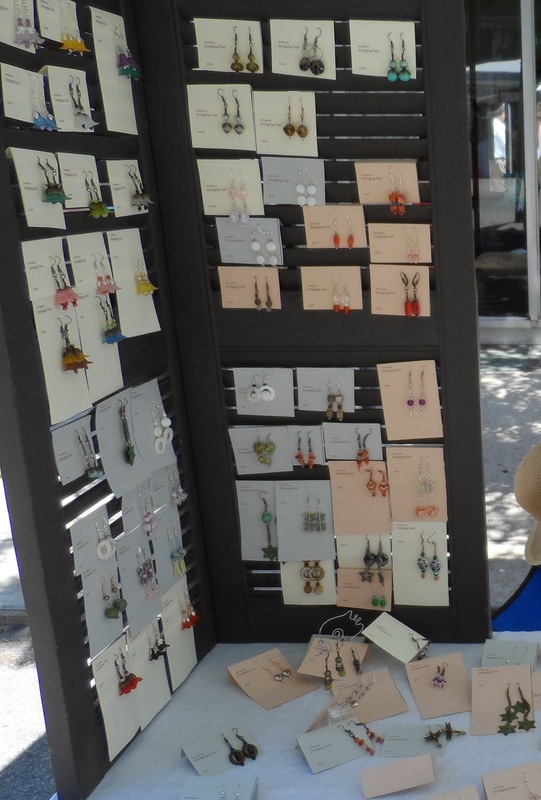 Jim bolted them together, and used upside down, they become the perfect earring rack. The home made folded earring cards did not turn out as well, and I ran the printer out of ink before I could adjust anything, but this is a good technique for showing earrings. All in all, it was a grand day! Cool earring display , may have to borrow that idea. Thanks for sharing. This one worked really well. We bolted the two sides together, and it stands on its own, but my husband bought two clamps to attach it to the table just to be sure the wind didn't blow it down! You can use many different types of shutter, but this plastic is very lightweight and easy to handle.